​We all know Jaguars cornerback Jalen Ramsey likes to talk smack. In fact, it's becoming what he's known for. While he is openly vocal, his play on the field has often made up for his mouth. Ramsey's one of the best corners in the league. 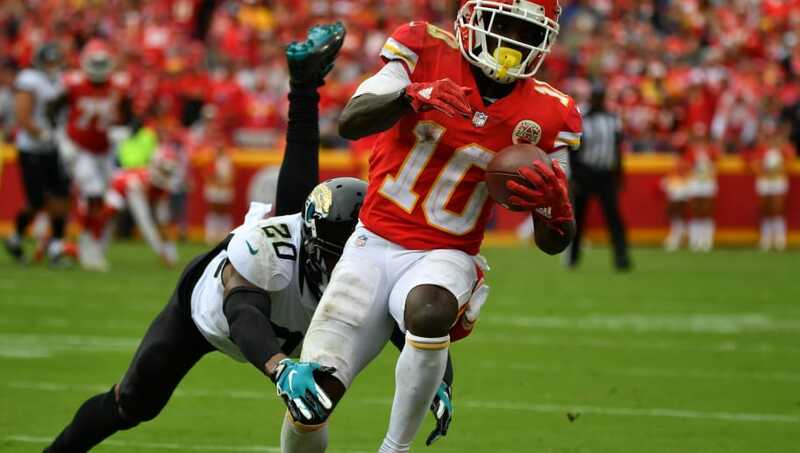 Well, Chiefs star receiver Tyreek Hill had something to say about Ramsey during their 30-14 win against the Jaguars on Sunday. Prior to the matchup, Hill and Ramsey traded insults. Hill stated that he believed Ramsey thought highly of himself. ​Ramsey shot back by saying "[Hill] made All-Pro as a return specialist. Let's get that right, as a return specialist." Hill looked like a little more than a return specialist today, didn't he, Ramsey? Tyreek just burned Jalen Ramsey. 36 yards. Not bad for a return specialist. While Hill didn't put up ridiculous numbers, only going 61 yards, he made a fool out of Ramsey. Hill has shown that he's way more than a return-man. Hill is truly a special talent. While Ramsey's trash-talk is entertaining and indicative of his hard-playing attitude, he's going to pick some losing battles every once in a while. ​Maybe he should talk to his offense before calling out others.